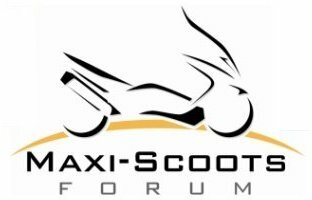 Maxi Scoots > Bike Maintenance/Questions > Honda > A Silverwing question. Was the Silverwing when it was a motorcycle as bullet proof and as easy to work on as is the Silverwing now that it is as a scooter? I don't have personal experience with the GL series, I can't imagine anything was that hard to do except balancing the dual carbs. The rest was ahead of its time, liquid cooled, shaft driven etc.! Nice bike, I looked at two of them back in the day, and passed both times. A mini Gold Wing! There were a few issues with some of the earlier GL500s relating to the charging systems. The 650s were/are dyn-o-mite! Both are bulletproof and surprisingly quick when asked to do so. A very good buy, if you can find one in good shape. My friend had one back in the 80s. I rode it a few time. Nice bike. I wouldn't call it fast, but it was smooth; a perfect mini GW. Then a again I had a Honda V45 Sabre back in those days, a much more advanced bike, so the Swing probably paled a bit in comparison. I don't remember it having any particular problems and I know my friend abused it. So I'd give it the typical Honda bullet-proof rating. My father-in-law had a 1983 Silverwing 650. He gave it to my daughter a couple of years ago. It was sitting in my Brother-in-laws garage for many years not being used. He used it once to go out to New England in 1998. My son-in-law has been cleaning it up and getting it ready to ride. They have been busy. Also, my daughter is a bit apprehensive about riding it. She has her license but has not been riding since she got it. She is content as the pillion on her husbands bike which she likes. She is also afraid if she damages the Silverwing Grandpa will get upset. If they ever get to riding it I will let you know how it is.. Maybe this year. 2011 Harley Sportster 883, Black Cherry, police side cases, backrest, luggage rack, Kuryakyn Longhorn highway pegs. off the w/shield. ANY PROBLEM solvers feel free to chime in ! The motorcycle silverwing was very balances and would be a good bike for her (who cares if she drops it) The 600 SW scooter is a lower center of gravity without the shifting. Really both are fairly easy to work on (if you ever have to) Both are Honda's and very dependable.